A knee injury ended Brett Heggie’s redshirt freshman season and a foot injury kept him off the field for most of fall camp. 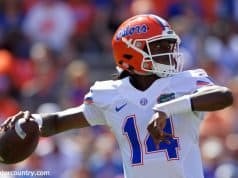 Heggie has played sparingly in Florida’s first two contests but is on track to earn more playing time as he continues to come back from injury. Heggie played in eight games in 2017, starting seven before a season-ending knee injury at Missouri. He was one of Florida’s most proficient run blockers, a true road grader in the middle, and projected to start this season. Florida’s offensive line struggled to get a push in the running game the first two weeks of the season. The Gators are currently 12th in the SEC averaging just 165.5 yards-per-game on the ground. Feleipe Franks is Florida’s leading rusher in terms of carries and yards. That might be the norm when Mullen gets a quarterback like Tim Tebow, Dak Prescott or Nick Fitzgerald on the team, but it’s not a strength on this current team and speaks to how Mullen and his staff feel about the offensive line’s ability to create for the running backs. 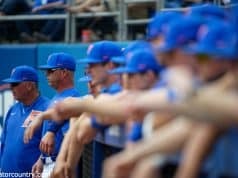 Mullen called out the team’s attitude towards practice leading up to Kentucky and questioned their toughness. Hevesy echoed that sentiment, focusing on his group. The line needs to improve not just this week but the entire season. 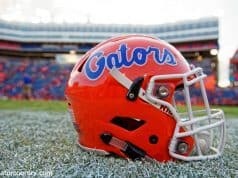 You have to be able to run the football successfully in the SEC and Florida’s production there just won’t cut it. Your offensive line should be the last unit on the field that ever has their toughness questioned. 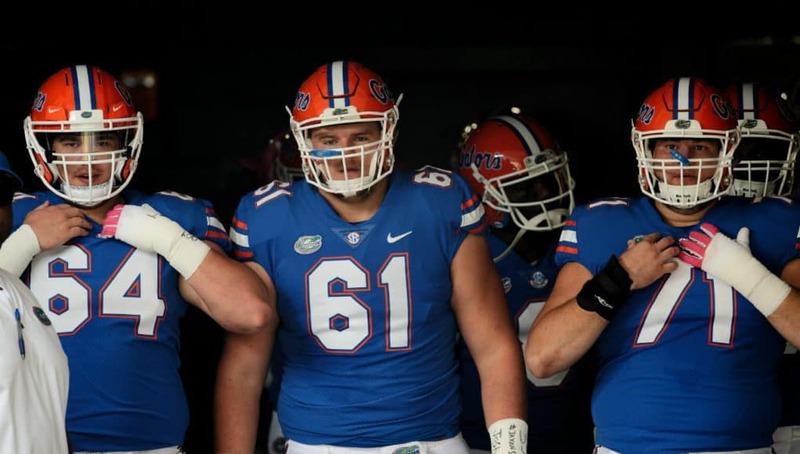 Heggie’s toughness has never been in question and adding him to the line is something Florida needs to do as soon as possible. It was hard for the staff to do that when Heggie was in the pit during camp. He’s spent the last two-plus weeks getting his conditioning back to where it needs to be. Heggie is doing that and the Gators’ offensive line will be much better when he gets back into the starting rotation and plays significant snaps.